Date night in Vancouver, eh? Why not try something different from the same old dinner and a movie? Picture yourself spending the night with your partner having an absolute blast flying around Canada from east to west, all without leaving the city. 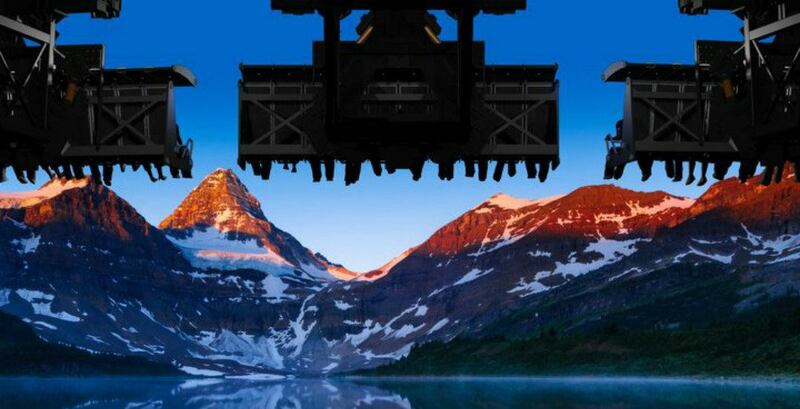 If you’re feeling slightly confused, we’re talking about the flight-ride experience at FlyOver Canada, a thrilling, emotional, and visually stunning celebration of the immense beauty that is our country. 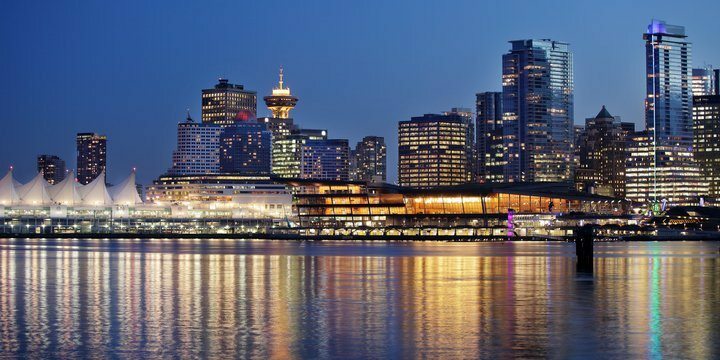 Right on the waterfront at Canada Place (a romantic spot in itself), FlyOver Canada combines state-of-the-art technology with amazing special effects including wind, mist, and scents. 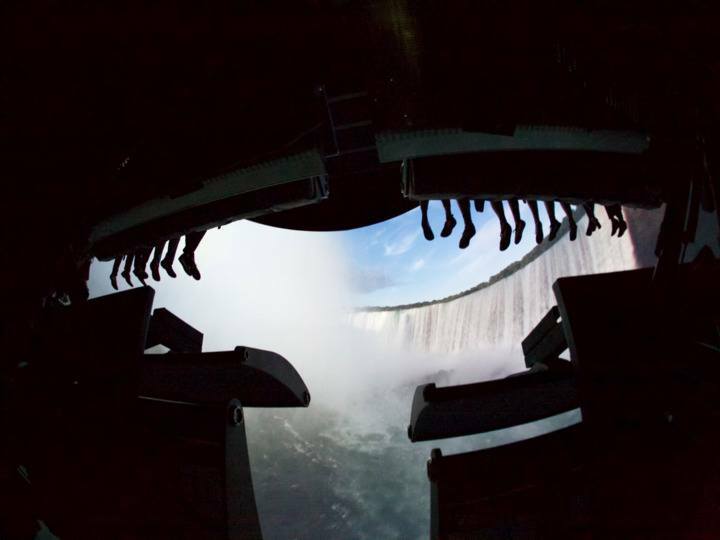 You’ll zoom between tall buildings, soar above waterfalls, and glide over stampeding horses. It is truly an immersive experience and so much more than just a film. So how does it work? Using 6DOF motion systems, the seats move in all directions and spin on all axes — so they go up, down, left, right, front, and, back in conjunction with the camera’s point of view so you will really feel like you are flying. Spot national landmarks, undiscovered gems and, if you’ve spent anytime elsewhere in our beautiful country, maybe some old stomping grounds. For a limited time between January 24 and February 24, 2019, to celebrate the Lunar New Year, guests will follow a mythical dragon as they soar over some of China’s most spectacular landscapes and scenery. This includes the Great Wall of China, Zhangjiajie National Park, the city of Shanghai, and more before returning to Canada to take a cross-country journey from east-to-west. Two exhilarating back-to-back trips in one. 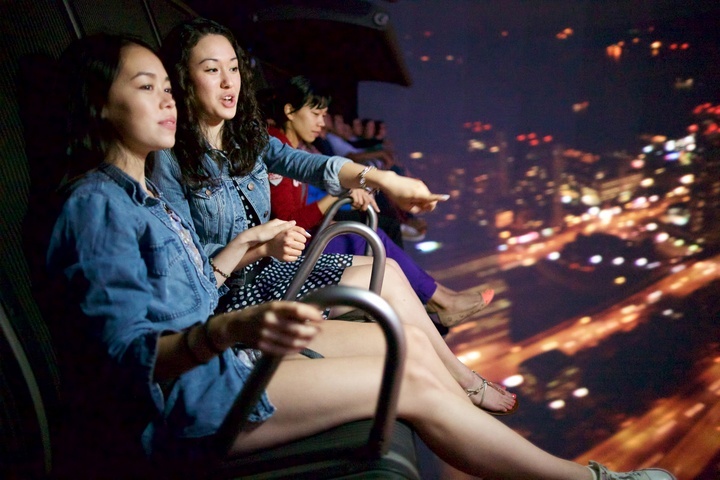 Think beyond the cinema for your next date night and soak in that FlyOver feeling.